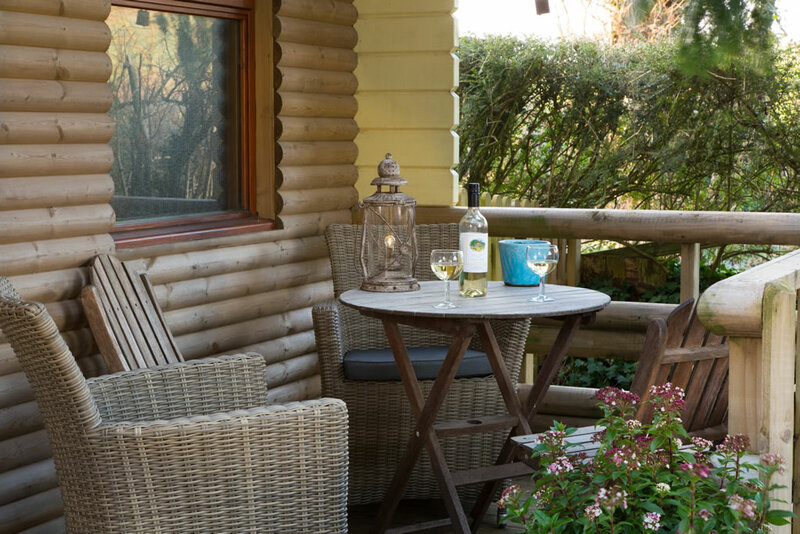 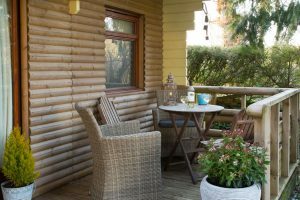 This self catering lodge accommodation overlooks your own enclosed garden with decked terrace. 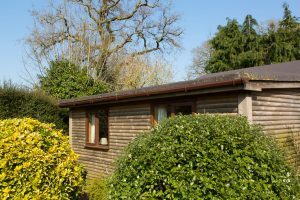 It makes an ideal hideaway and a great base from which to explore South Devon. 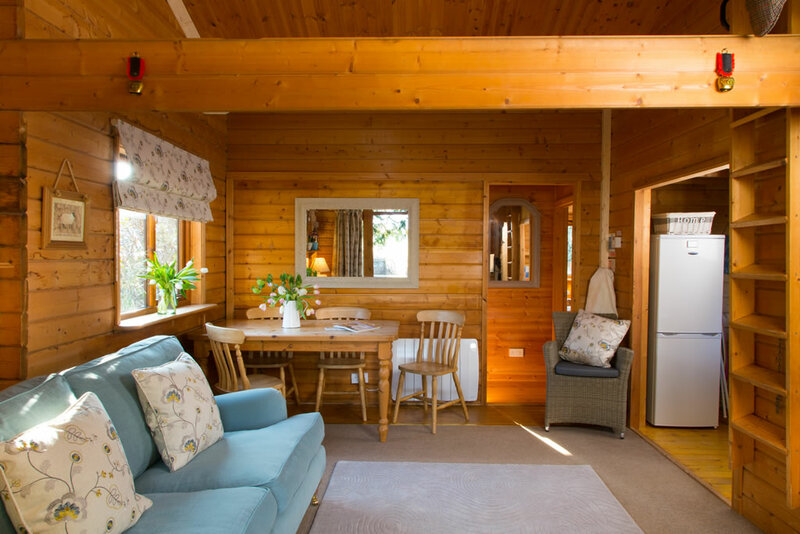 The accommodation comprises of a characteristic log cabin with open living and dining area. The kitchen is separate and includes a dishwasher, washing machine, fridge freezer, microwave and hob oven. 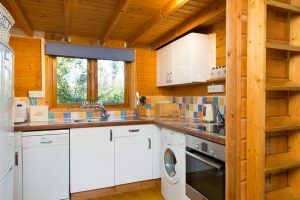 Modern appliances include wide screen Freeview TV, DVD, Wifi Broadband. 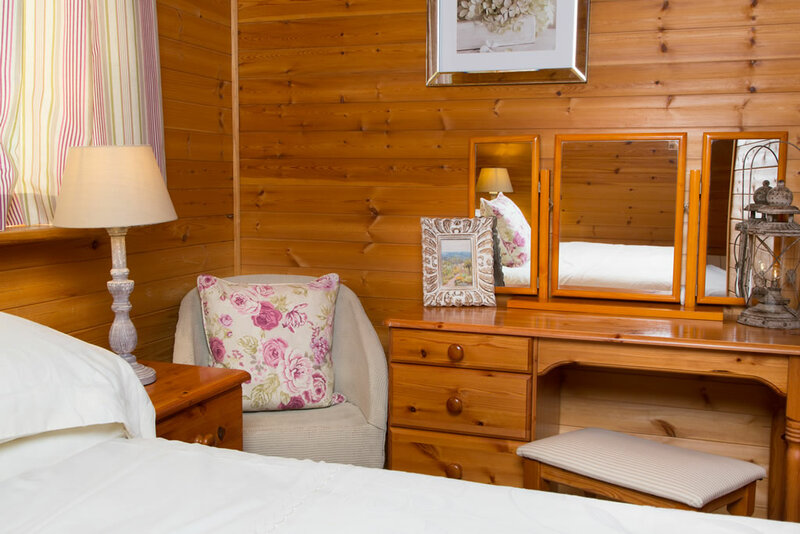 The enchanting double bedroom has en-suite facilities, including a shower. 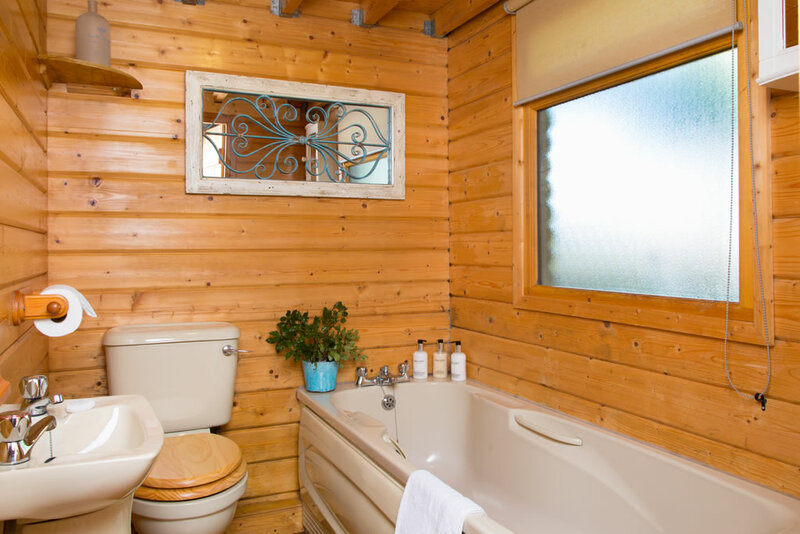 The delightful twin has separate facilities with a bath. Both are on the ground floor. There is also a quirky twin room in the loft, which is accessed by bunk bed style steps – children love it. Dogs are welcome for you to bring to the Enchanting Lodge. 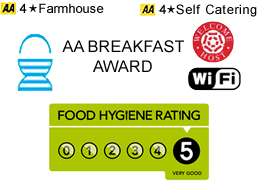 Angela cooks an award winning traditional farmhouse breakfast for her B&B customers, but the option is available to self catering cottage and lodge stays too. 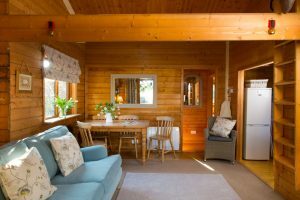 If you’d like this, please do not hesitate to ask her to add it to your booking.